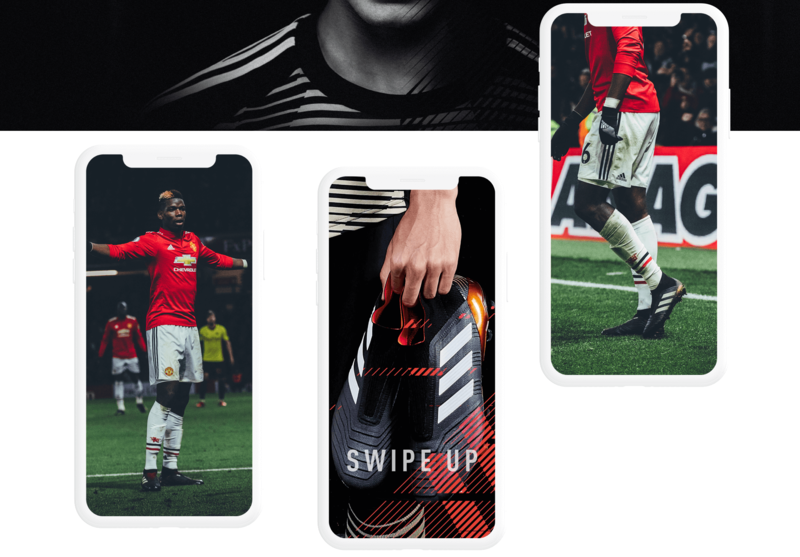 Knight Studios helped Adidas UK to realise the Predator Launch Campaign's strategy and design across their social channels, creating new dynamic content for their different sponsored players and applying it in engaging ways. The campaign creative borrowed shapes, marks and patterns from the boot, to great effect – our task was to apply consistently to other players, scenarios, and across channels, helping to amplify the messaging and making it work harder in already busy feeds. Dynamic, impactful static content alongside engaging, pulsating motion graphic content – we created Facebook Live Images, Facebook 360 images, Instagram Stories, Snapchat Filters and Lenses. 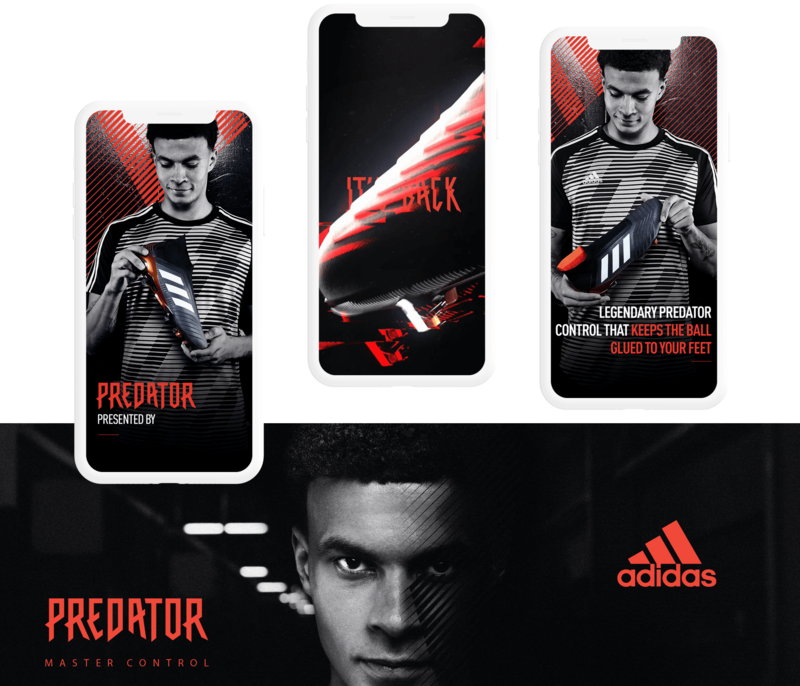 We are experts at creative content for all social media platforms and the Adidas Predator Campaign was a great example of us applying that knowledge and skill.